Civic Memorial High School has a long tradition of outstanding student-athletes. Over the years, many of our student athletes have had such success in high school academics and athletics, that they have been privileged enough to continue their playing careers at the collegiate level. On this page, we hope to highlight and list those CM students who have gone on to play college athletics. We will post photos from signing days and keep a list of athletes and where they have gone to college. ​If you are a former Civic Memorial Eagle who played sports in college, we'd love to highlight you on this page. Just click here to fill out your information. Division III, NAIA, Junior College. Colin Hall, Civic Memorial, Sr, baseball, pitcher, McKendree University. Konnar Loewen, Civic Memorial, baseball, pitcher, Lincoln Trail College. 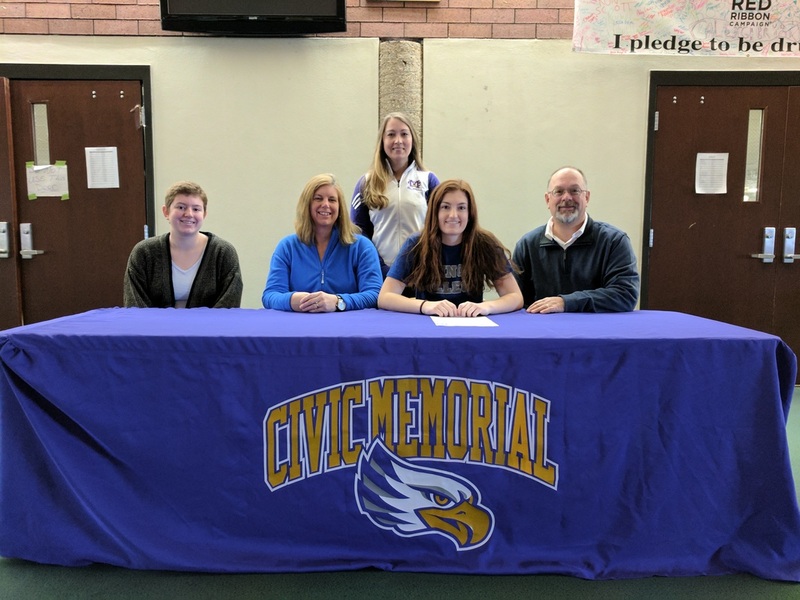 Annika Ochs, Civic Memorial, volleyball, libero, Blackburn University. Corey Price, Civic Memorial, baseball, Outfield, University of Central Missouri. 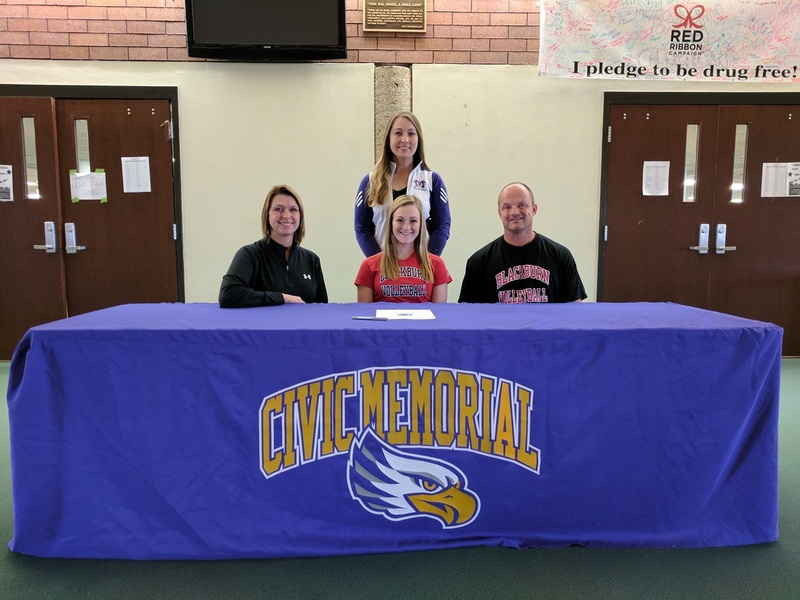 Alllie Troeckler, Civic Memorial, basketball, Guard, Southern Illinois University-Edwardsville. If you see them, please tell them congratulations! 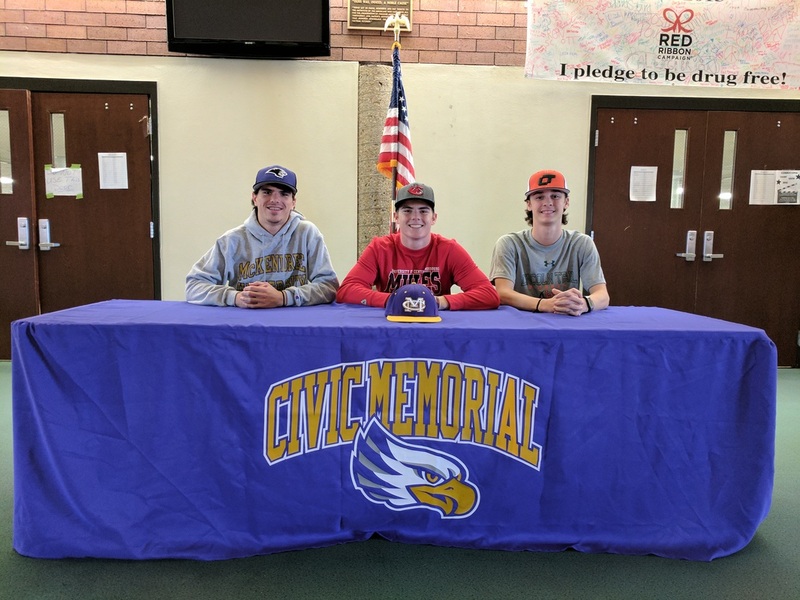 On Wednesday, Colin Hall, Konnar Loewen, and Corey Price each signed letters of intent to attend college on baseball scholarships. Here is a picture from their signing. Congratulations to each of them and to their families on this accomplishment! For more info on all of our CM student-athletes signing to play sports in college, scroll below. Tuesday afternoon Annika Ochs signed to play volleyball next year at Blackburn College. Below is a picture from the signing. Congratulations to Annika and her parents ! Tuesday morning, Allie Troeckler made it official and signed a scholarship from Southern Illinois University-Edwardsville to play basketball. Allie was joined by her mother, father, brother, and grandmother, along with Head Coach Jonathan Denney and Asst. Coach Julianne Green. Congratulations to Allie and her family! We look forward to seeing her play at SIUE and her senior season as an Eagle! 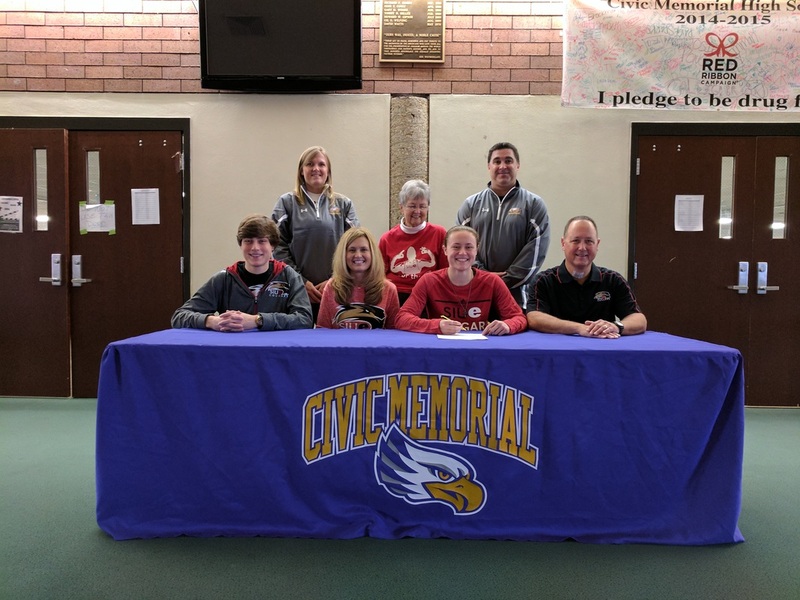 Wednesday morning, Kennedy Carnes joined several other senior CM students and signed to play athletics while attending college next fall. Kennedy will play volleyball at Illinois College in Jacksonville. Kennedy was joined by her mother, father, and sister, along with CM Head Volleyball Coach Amanda Biggs. Congratulations to Kennedy and her family!